When you’re a writer, success can come in various forms. Here is a taste of another method of getting The Call. I asked friend and fellow writer, Terri Bruce, to inspire us with her recent adventure. 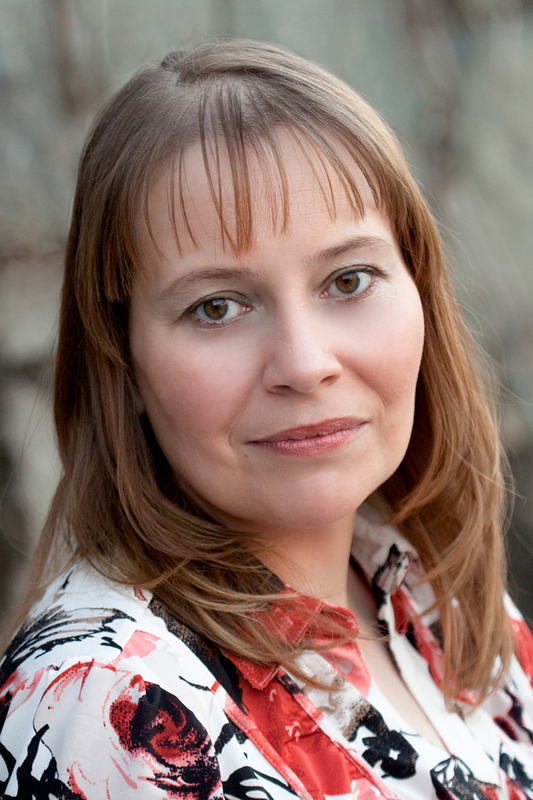 Terri writes a blend of women’s fiction and fantasy, creating her own genre. For more about Terri and her novel, HEREAFTER, releasing this September, check out her website. Thank you so much for sharing, Terri. I wish I could say my “call” was a big dramatic moment, but alas, it wasn’t. Instead, it was a series of small, pivotal moments mostly lacking in drama that inched me closer to the final moment when I could say I was a signed author with an impending release date. I was home alone because my husband was away, traveling for business. It was late—I had been watching t.v. and chatting online with my AQC friends—and I was wrapping up to go to bed. I was just about to close the laptop when I decided to check my email one last time—and there it was, an email from the acquisitions editor that I had just submitted my full manuscript to only a few days prior. The response was an email (not a call) and had come back so fast that it surely must be a rejection. I frowned and moved to close the email window. I’d read it in the morning. Then I chided myself for being such a dismal coward and opened the email, figuring I’d just rip the band-aid off now, rather than wait till later. I read the words and they hardly penetrated. They wanted to publish my novel. I blinked and read them again. I don’t remember a lot after that—just like everyone else who experiences this moment, my brain sort of melted. I tried calling my husband, got his voicemail. I tried calling my sister, got her voicemail. I just sat on the couch, staring at the t.v. not sure what to do next. My sister called me back almost immediately and we were on the phone when my husband called. I was trying to switch back and forth between two calls and trying to read them the email…on further investigation there were instructions: I’d be getting a formal offer/contract from the CEO by separate email, there was an author information sheet to read about the process of working with Eternal Press (mostly about how they’d really prefer authors to not eat the editor assigned to them). The best moment, however, was the next day. My coworkers have been following my book publishing odyssey closely and offering much emotional and moral support. It was so hard not to start shouting the moment I walked through the front door. It was even harder not to spill the beans to my boss, with whom I share an office or another coworker who had been one of my beta readers (the first non-writer, non-family member I had ever let read my work). Instead, I waited until staff meeting where I announced I wanted to share a letter I had received the night before. Without any further build up, I simply read the email. Before I had even finished, everyone erupted into applause and cheers. That’s the moment when it really hit me this was happening and I started crying. In the afternoon, my boss bought cupcakes for the office and let me ring the “good news bell” (okay, honestly that sounds like a four year old’s birthday party, but it was actually a really awesome celebration!). This was all just the start of “the call”—at this point all I had was an email from the acquisitions editor but no actual contract yet. I had a lot of questions I wanted to ask and I wasn’t entirely sure I would accept the offer—this publisher has received mixed reviews from different online sources, and while I had done my own, first-hand research, including talking to dozens of their authors (who all had only good things to say), I still wanted to talk to the staff directly and get my own impression of their professionalism and personality before deciding anything. Then two other publishers indicated interest in the manuscript and there was a frantic week of back and forth emails and nail biting and contract review with a lawyer. Once the lawyer gave me the go-ahead on the contract, I exchanged emails with the CEO as I asked questions and requested a revision to the contract. Since the offer was just for the first book in the series I had written, I was most concerned in knowing EP’s criteria for publishing the rest of the books. EP’s contract is pretty straightforward, plus with the contract they had sent some more documents explaining the publishing process, so I felt pretty knowledgeable about what to expect if/once I signed. By this point I was pretty sure Eternal was my top choice of the three interested publishers—they had the best royalty rate, the best distribution (including accepting returns), the longest track record/most experience, a substantial built in market, and the most efficient/organized process (plus the speed with which they responded to queries, submissions, and emails showed that they stay on top of stuff). The final clincher was the professionalism, honesty, and transparency of Eternal’s CEO, which struck me immediately in my exchanges with her—I asked a lot of annoying, newbie questions and she was amazingly patient about everything. That was the final piece of the puzzle for me—the company’s authors spoke highly of them, mutual colleagues spoke well of the CEO, and the CEO herself was someone that I felt comfortable working with. I accepted the offer, sent back the contract right after our last exchange, and let the other publishers know that I had accepted another offer. Then rolled up my sleeves and got to work on the hard part—prepping a manuscript for editing and preparing the information sheet for the cover artist. Anti-climatic indeed—since I signed there hasn’t really been a free moment to just bask and enjoy this moment. I guess I’m going to have to wait for the book release party this fall for that! This is awesome :) Great job, Terri! That is so awesome, Terri! It's cool that your entire office celebrated with you. I think I would cry too. I'm so happy for you! Yo Michelle, thanks for your Getting the Call series. They're so exciting and inspirational to read. What a wonderful idea. All we ever hear about are the rejections and the bad news. I wanted to look at the bright side of things. If anybody else has a success story, please let me know and we can set up a post!